Children imbibe through observing and connecting with people, exploring places and during leisure time experiences. At csdishaaa Foundation, our aim is to make children aware about basic etiquettes and behavior, personal and public hygiene. This we do through various informative programs in order to maximize their potential and build a foundation for future success. 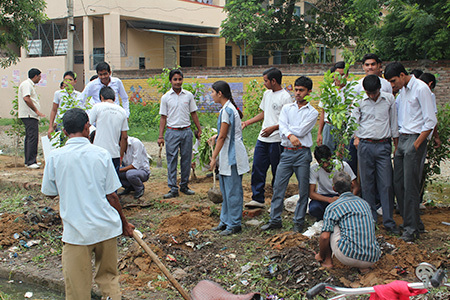 In our programs, we organize various cleanliness drives, awareness, campaigns’ and learning activities in schools such as planting trees, recycling waste, making groups and assigning tasks to the groups to promote team work, etc. We also provide resources and tools to children to performing these activities. We spread awareness through classroom discussions, group discussions, and individual counseling.